Winkler Knives Blue Ridge Hunter in Tan Micarta, black caswell finish and brown leather sheath is a perfect all season hunting knife. The blade is constructed of 80CRV2 carbon steel with a black caswell finish to protect the knife as well as reduce glare. The blade features razor sharp flat grinds. The blade has file work on the thumb rest of the blade spine for positive grip and traction. Solid full tang construction gives the Blue Ridge Hunter the strength to achieve any task you have. 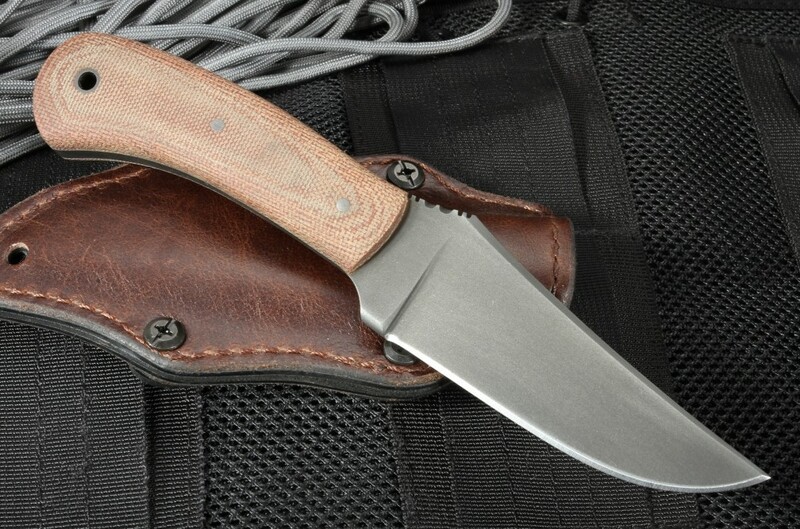 The handle of the Blue Ridge Hunter is constructed of contoured tan micarta that looks and feels great. 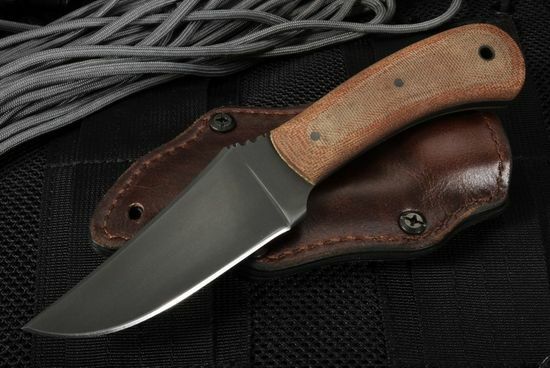 The micarta is super tough and provides an amazing grip even when wet. Integral lanyard hole in the rear of the handle. 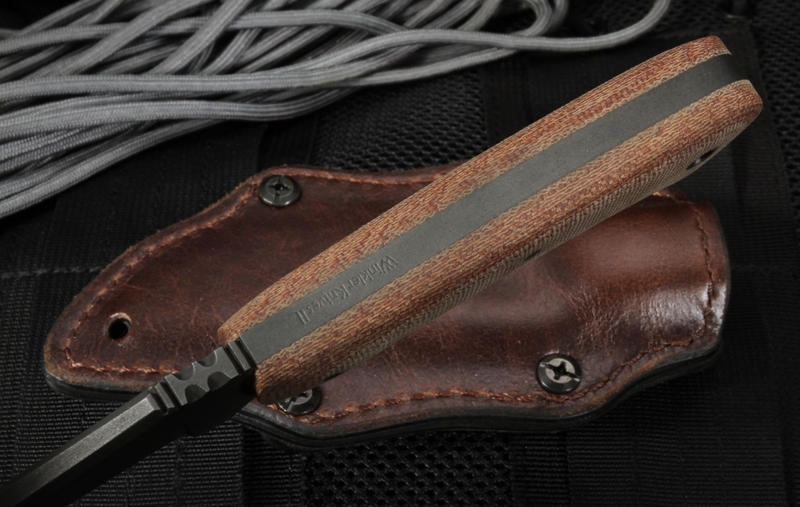 The brown leather sheath has a kydex and felt liner. 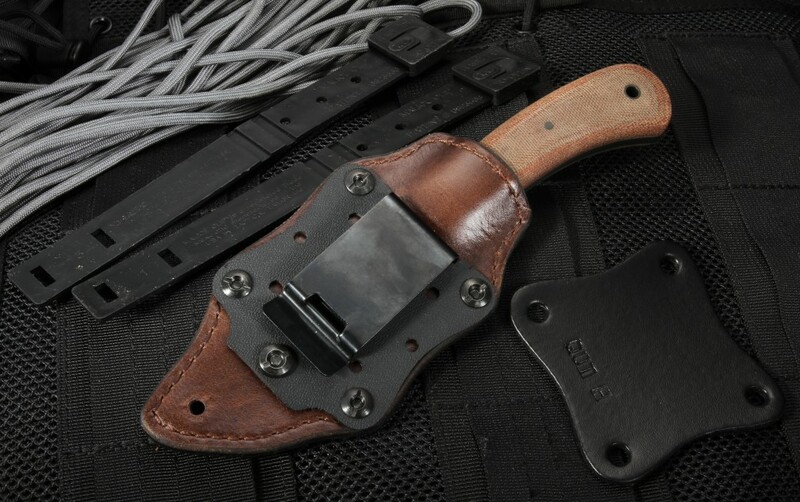 Sheath comes with many different carry options and attachments to fit any rig or carry configuration you need.